Today I wish my blog had millions of readers. Because today that kind of reach could make a real difference. 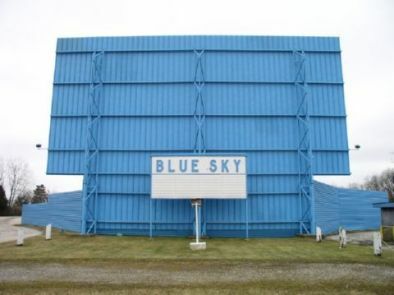 Our local drive in movie theater, the Blue-Sky Drive In, could be going away. So many drive in movie theaters have already gone away. They are already nearly extinct. The Blue-Sky Drive In was built in 1947. Today you can load up your car with people and get into the theater to watch two movies for a total of $18. All seven of us can see two first run movies (and a lot of weeks they show three movies) for a total of $18. At any other theater around you can see fourteen movies for $10.00 per ticket, so $140. Plus you get to sit in your own comfy car with no distractions except the ones you bring with you. At least you can tell your own people to hush if they get rowdy. Here's the rub: The movie industry is going digital. Simply put, that means no more movies on film. It also means new projectors, which cost $80, 000. Considering the price we paid to get in was a mere $10 until just a couple of years ago, I think this theater has been operating more as a labor of love than a bid to get rich. It has worked. We love it. go to Project Drive-In every day and click the "vote" button. And text Vote53 to 444999 once per day. Share this. On twitter, on facebook, on Pinterest, via email. Ask every teenager you know to text every day. Please and thank you. Remember the playground at the front of the drive-in movies? Where you played with kids you didn't know and made friends in ten seconds? I want my someday grandchildren to be able to do that, too.